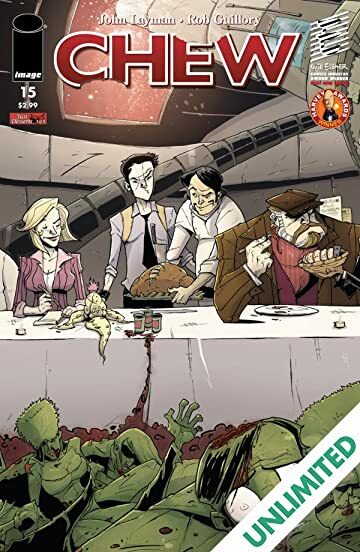 It's the final chapter of the 'Just Desserts' and the biggest story in CHEW history, figuratively and literally. 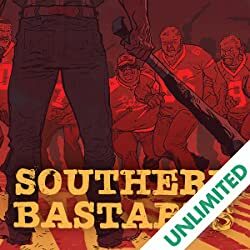 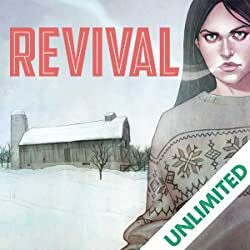 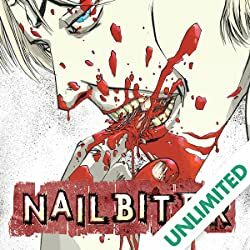 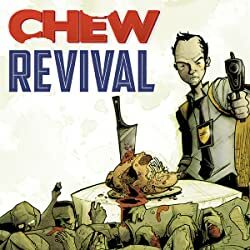 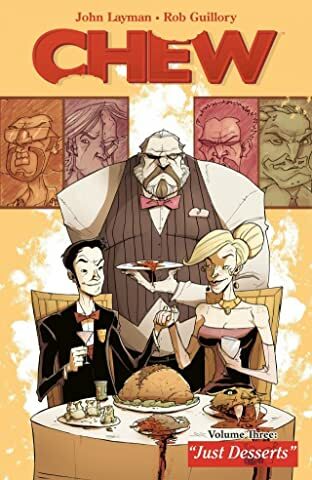 As we reach the one-quarter mark of the CHEW run, the last remaining major characters are introduced and an event transpires that is so shocking and unexpected that it changes the book forever, fundamentally and irrevocably. 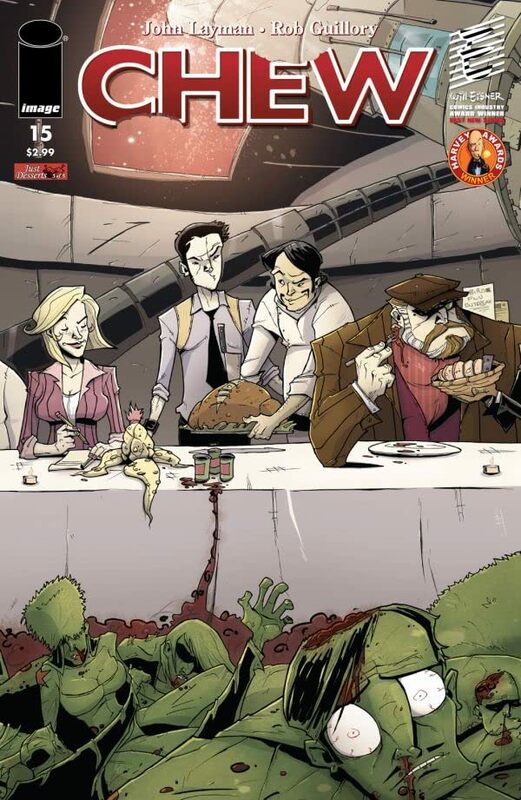 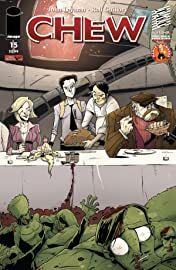 And, as a special sloppy, wet kiss to everyone who has supported the book and helped it to succeed beyond our wildest expectations: CHEW #15 is bonus-sized, with more story pages and a special TRI-FOLD POSTER COVER at no extra cost!